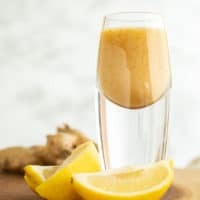 Dragon's Breath: A Lemon Ginger Cayenne Elixir | Good. Food. Stories. 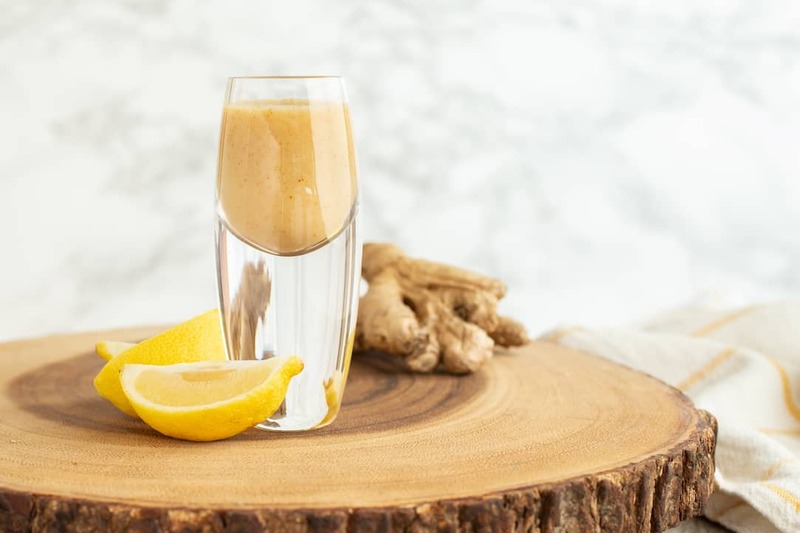 Able to fight colds and viruses, ward off hangovers, and induce a hit of energy more powerful than a double espresso, one 4-ounce lemon ginger cayenne shot is as close to the elixir of life as it gets. This is the concoction I give to clients, friends and to myself on a regular basis, and I’ve been both praised—and cursed—for it. An avid juicer for most of my adult life, I got into elixirs and shots about seven years ago completely by accident. I had extra lemon and ginger juice after preparing several juices for a client, and it seemed logical to see what I could do with it. Since wheatgrass is served as a shot, it made sense that this could be too. The potent and pure lemon ginger cayenne mixture burned going down, but the rush of energy it gave me was exhilarating. I was hooked. New York is the perfect place to uncover hidden gems, and Organic Avenue was one of them. I stumbled on this oasis of all things raw and organic around the same time as my elixir habit began. A new juice-bar friend had told me about it but warned me it wouldn’t be an easy find, and I admit I felt like I was searching for contraband and not organic food. Then located in a nondescript part of Chinatown—up a staircase, behind a heavy door and down a long corridor—the only thing missing was the secret knock. Denise, its founder and owner, was ahead of her time. She was a girl with a vision, of bringing the world of raw and organic into the mainstream. Flash forward seven years and though Organic Avenue is gone, you can now find organic fresh and bottled juice shops all across America. However, I still have a soft spot for Organic Avenue’s elixirs, or booster shots, as they call them. The booster shots serve a completely different function from a veggie juice. I think of veggie juice as liquid sunshine, as it’s filled with chlorophyll, enzymes, and essential nutrients the body thrives on. An elixir or booster shot is a quick compressed version of this, and sometimes is green and sometimes not. It floods the body with a swift injection of whatever’s in the shot—wheatgrass, chlorophyll, or my recent discovery, the Guaranimal: a potent blend of guarana (an herbal form of caffeine) and cacao. Both of these can burn fat, and the combination packs an energetic punch. I recently returned from France with horrid jet lag and honestly think it was the integration of Guaranimal and green juice that had me feeling energetic and focused again in just two days. Brilliant! But my favorite booster shot has to be the tried-and-true Dragon’s Breath, a lemon ginger cayenne combination. 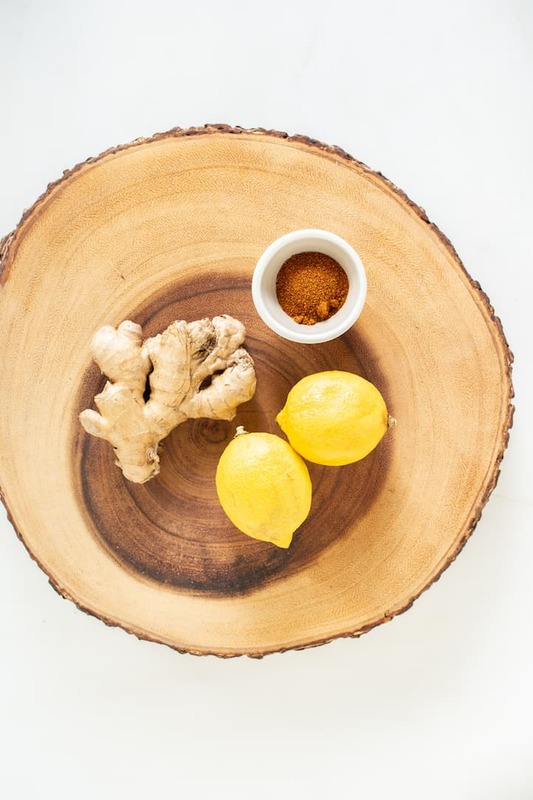 The body is cleansed by the ginger-lemon combo, and the cayenne pepper serves to speed the metabolism and to stimulate peristalsis. It also warms the body, providing heat. You will definitely feel it. Make a DIY version with the following recipe inspired by the Dragon’s Breath. 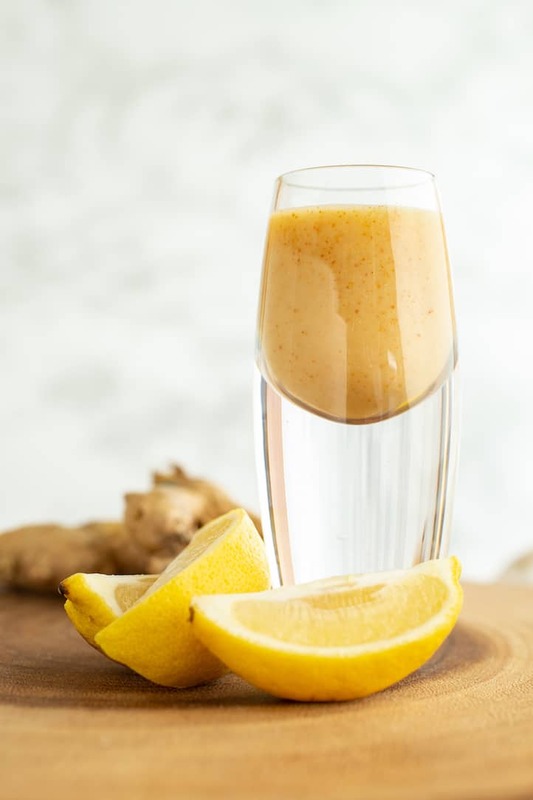 The Dragon's Breath Shot is a lemon ginger cayenne elixir that gives you a burst of energy and warmth. Make it yourself at home! You can also juice the lemon by hand and grate the ginger with a Microplane or ginger grater into a mesh strainer, pressing to extract as much liquid as possible. Stir the lemon juice into the ginger juice. Stir the cayenne pepper into the juice and drink as a shot. Breathe and feel the effects. Breathe again.